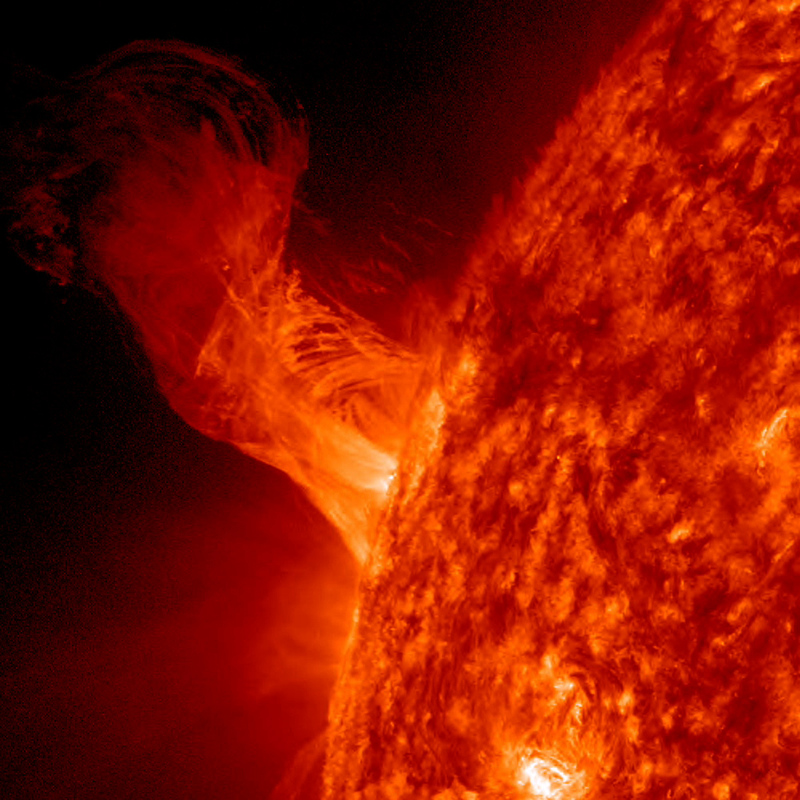 A solar eruption gracefully rose up from the sun on December 31, 2012, twisting and turning. Magnetic forces drove the flow of plasma, but without sufficient force to overcome the sun’s gravity much of the plasma fell back into the sun. For answers to your space weather questions, please visit the Spaceweather Frequently Asked Questions page. This four–hour event occurred from 10:20 am to 2:20 pm EST and was captured by NASA’s Solar Dynamics Observatory in extreme ultraviolet light shown here at a high cadence of an image every 36 seconds. The Earth is superimposed on this image to give readers a sense of the scale. The length of the eruption extends about 160,000 miles out from the Sun. With Earth about 7,900 miles in diameter, this relatively minor eruption is about 20 times the diameter of our planet.